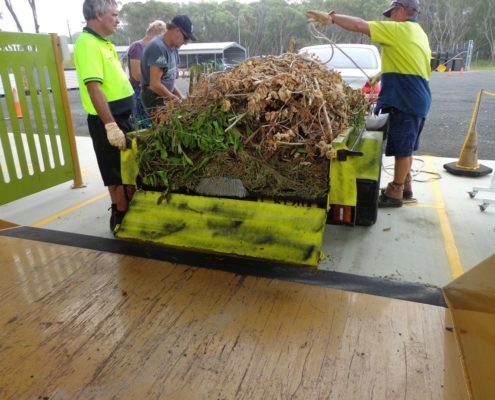 Contamination of green waste with problem waste like Asbestos, chemicals and household waste can turn a valuable resource into an expensive problem. 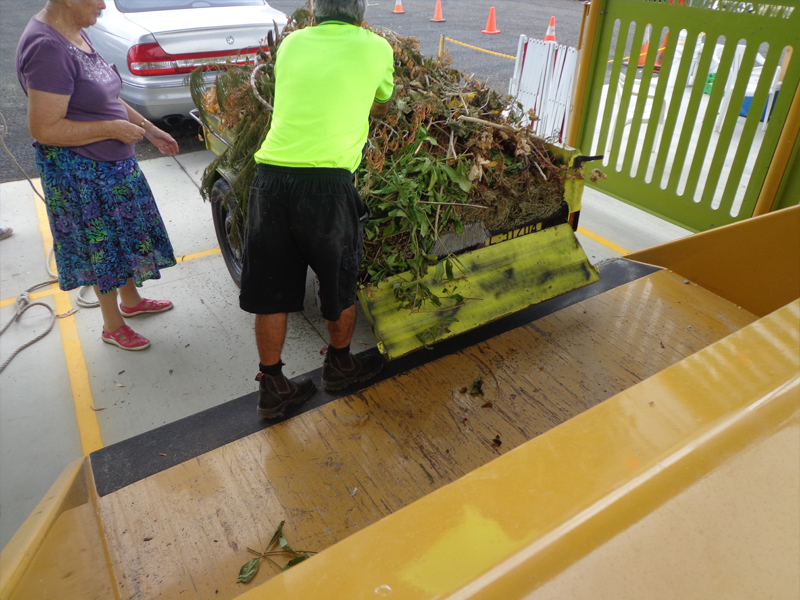 The public health issues and costs associated with treatment or of contaminated green waste are threatening the viability of diverting green waste. 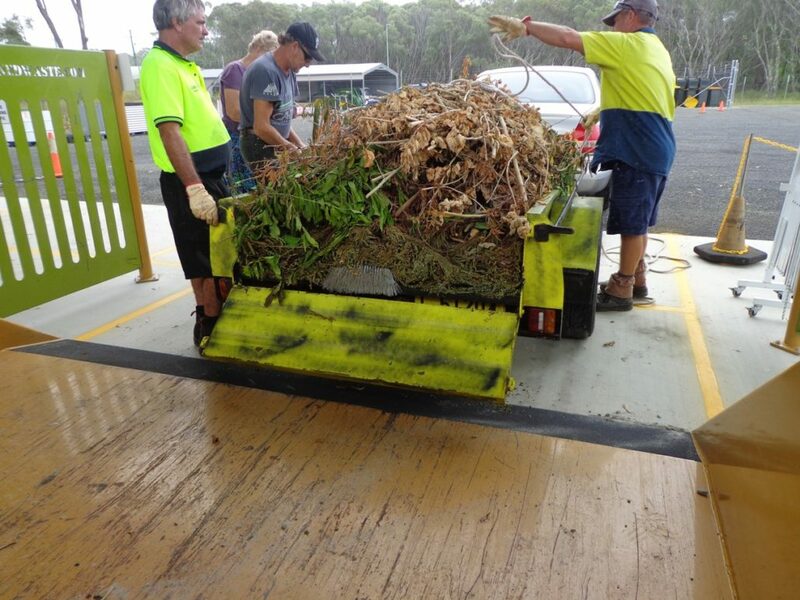 The problem can get much bigger with several Australian councils being compelled to recall mulch due to Asbestos contamination. 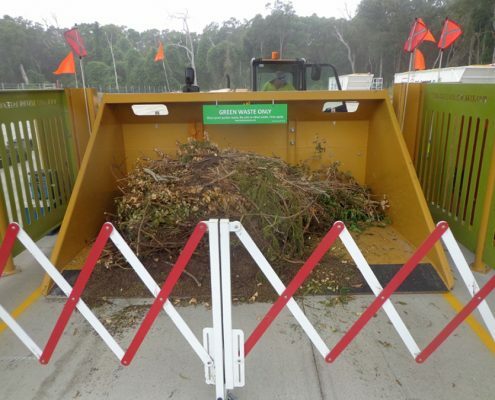 Clients can slip all sorts of restricted product into green waste piles to avoid fees and out of laziness, knowing that it is difficult to attribute the material to them in conventional systems. 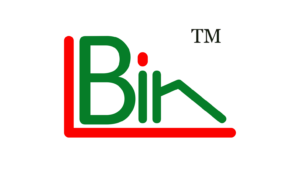 The ability to contain, inspect, identify and quarantine individual contaminated loads with the LBin™ system significantly reduces the risk of stockpile contamination. The ability to check and isolate individual loads allows the operator to significantly reduce the potential for stockpile contamination. 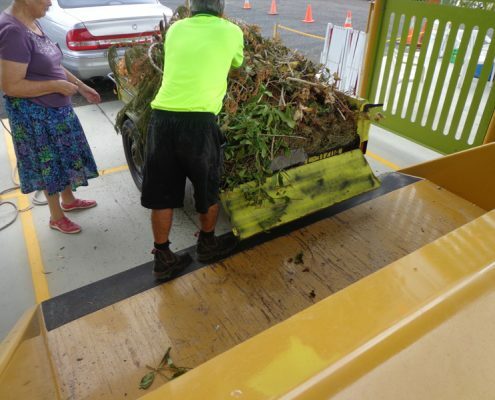 Loads once inspected can be taken directly to a mulches for on site processing or a transfer bin for offsite processing. The ability to inspect and contain fire sources such as coals in the LBin™ coupled with immediate processing (Mulching) or containment in a Bulk Bin reduces the risk of large scale stockpile fires. With Liquids contained in the LBin™ and the ability to process directly into bulk Bins leachate can be mitigated and contained. 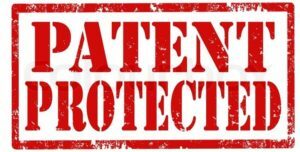 Containment in the LBin™ allows for inspection and interception of vermin. Processing directly into bulk bins appreciably reduces the formation of Vermin Habitats.. 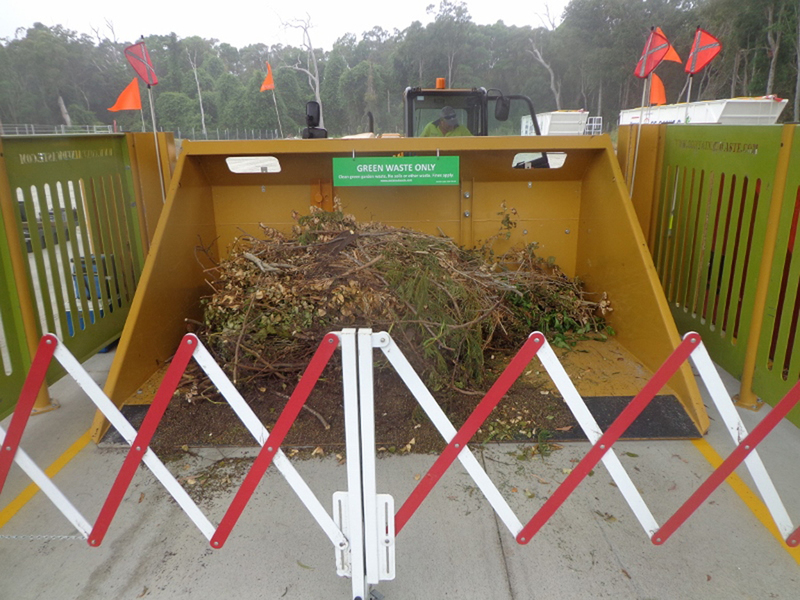 The LBin™ system allows materials to be taken directly to a Mulcher eliminating the need for unprocessed material stockpiles. Stockpiled that need to be processed again later. 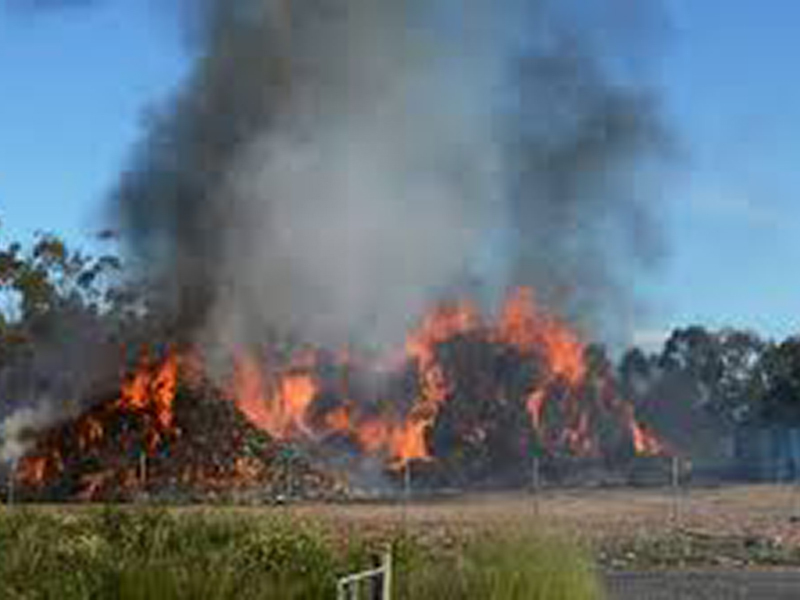 Fire in Green waste stockpiles is a common unwanted occurrence. Major source of Fire risk in many councils. Minimising stockpiles reduces the risk. Restricting access reduces the risk. Containing waste in a steel bin reduces the risk of spread of fire. Containing waste in a steel bin reduces access for fire starters.